Boston Celtics legend Larry Bird has hand signed this 16x20 photo. 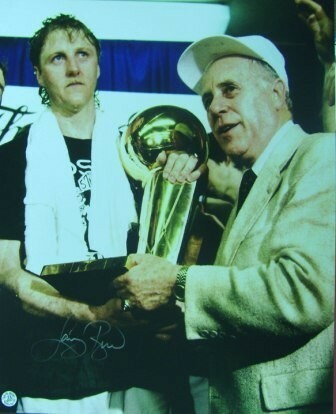 The photo features Bird celebrating an NBA Championship with fellow Celtics icon Red Auerbach. It was signed during a private signing, and features the Larry Bird authentic hologram.